On April 15, the time for paying taxes began for large Russian companies. This gave a new impetus to the positive exchange dynamics of the ruble, which has won back 2% of the US dollar over the past 10 days. On Monday, the value of the American currency fell to almost 64 rubles. Analysts do not rule out maintaining the trend to strengthen the national currency until the end of the month - dividend payments to shareholders of banks and oil companies, as well as the decision of the Central Bank of the Russian Federation on the key rate, will contribute to it. The beginning of the new trading week on the Moscow Stock Exchange demonstrated the strengthening of the ruble, which started on April 5th. In the morning of April 15, the value of the US dollar fell close to 64 rubles. Experts interviewed by RT did not rule out that the strengthening of the national currency may be associated with some important events in the domestic financial market, which are expected in the last two weeks of April. First of all, we are talking about tax payments that started on Monday. “The main tax payers are large Russian companies that export energy carriers. They list the tax on mining, profit tax and VAT. For these payments, companies must convert their export currency earnings to rubles, which supports the growth of the Russian currency, ”explained RT Deputy Director of the Institute for Trading and Investment FENIX Alexander Egorov. The dynamics of the ruble may also be affected by the payment of dividends by large Russian companies for 2018 to their shareholders. In the near future, such a decision is expected from the top management of Sberbank, Rosneft and Gazpromneft. The managing partner of EXANTE, Aleksey Kiriyenko, in a conversation with RT, noted that the currency market is now taking a positive view of the news about a possible increase in dividends. According to Mosbirzhi, over the past ten days, the ruble has strengthened against the US dollar by 2%. Experts attribute this situation to the active influx of foreign investment in Russia. Non-resident investments in Russian federal loan bonds (OFZ) in March increased by 120.4 billion rubles - this is the maximum figure for 18 months. This is evidenced by the data of the Central Bank. “Now the demand for Russian assets is quite high, since the Russian economy generates good profits for international investors. The risks are quite balanced, and the profit is several times higher than the yield of bonds in the United States and Europe, ”said Alexander Egorov. Experts add that in favor of the ruble can also play the decisions of the Central Bank at a key rate. The meeting of the Board of Directors of the regulator is scheduled for April 26. Recall, on March 22, the Central Bank retained the rate unchanged at 7.75% per annum and at the same time allowed the possibility of its decrease in 2019. However, while analysts do not expect from the April meeting a significant change in the rate. Experts believe that the regulator's rhetoric is much more important for investors. According to Alexander Egorov, further statements about a possible reduction in the key rate may weaken the position of the ruble, because along with the rate the yield of Russian bonds decreases. “In the next two or three weeks, the dollar may fall below 64 rubles and approach the level of 63.75. This mark is perceived as an important psychological level, because it was from this milestone in August 2018 that the noticeable weakening of the Russian currency began. If she succeeds in breaking through this level, a weakening of the dollar to 62 rubles is possible, ”said Yegorov. According to experts, another stimulus to strengthen the ruble was the active growth of world oil prices. Since the beginning of April, the cost of Brent crude oil has risen by more than 4% and is currently trading above $ 70 a barrel. Analyst GC "FINAM" Alexei Korenev linked the growth of oil prices with military operations in Libya and the situation in Venezuela. Other external factors that can affect the rate of the Russian currency, experts consider the likely publication of a report on Russia's intervention in elections in the United States. Recall, the US special prosecutor Robert Muller completed the investigation into the case of the alleged “Russian interference” in the 2016 presidential campaign and alleged ties with Moscow to the election headquarters of Donald Trump. The corresponding report was submitted at the end of March to the US Department of Justice. However, experts believe that the impact of the Muller report on the Russian foreign exchange market will be insignificant. Alexey Korenev believes that the main findings of the report have already been laid in the current exchange rate of the ruble, and investors have already evaluated the reaction of Washington in the form of possible new sanctions against Moscow. 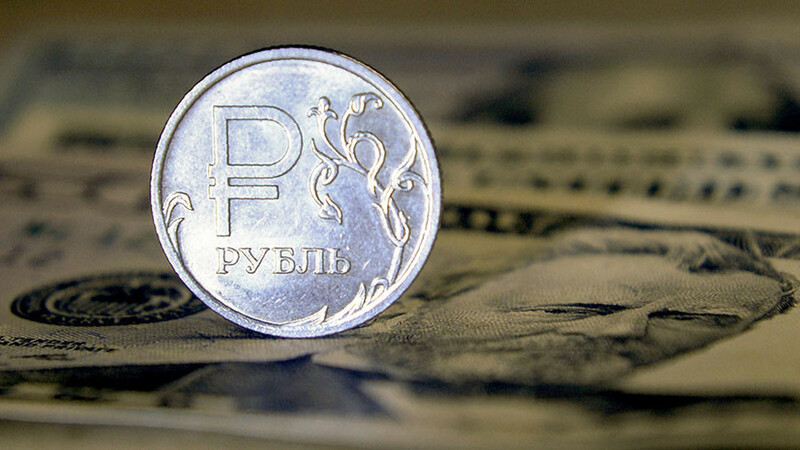 Korenev believes that by the end of May, the dollar could rise no higher than 65.5 rubles.